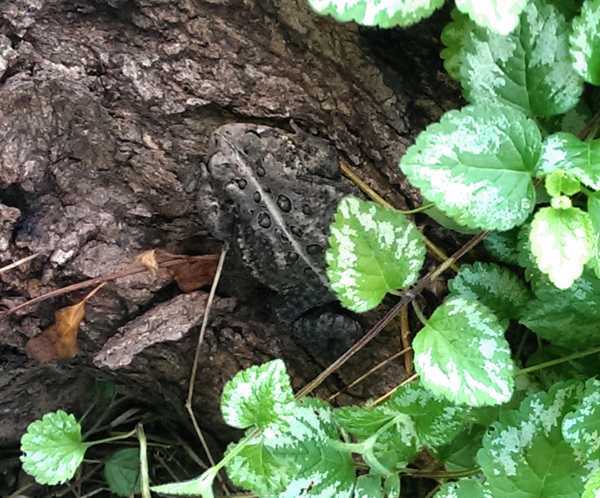 I think this chubby little guy (he's well camouflaged against the tree trunk) is an American Toad. The insects are plentiful this year because we've had so much rain. All of that fine dining has made him fat.